In the last 10 years or so there have been fundamental technological and economic changes that have rewritten the trade show rule book. Not rules like how close to the aisle your exhibit structure can be or how loud your music can play, but rules about what it takes to succeed on the show floor. 1. More Uncertainty: Economic uncertainty has lasted for years, and shows little signs of going away. This makes your top company executives reluctant to commit early to trade shows, and buy capital-intensive larger exhibits. You have to balance their need for financial flexibility by waiting longer to commit to shows and vendors, and yet still avoid more expensive rush charges. (I sincerely wish you luck walking that tightrope.) Rental exhibits help avoid capital expenses, too. 2. Measurement A Must: Gone are the days when you could end the show by saying to your boss, “We had a good show, didn’t we?” and that would be enough. Your trade show spending is being compared to more explicitly measurable electronic marketing mediums. So even if your trade show is producing greater results, if you don’t prove it with real numbers, such as ROI ratios or sales generated, it didn’t happen in the minds of your bosses, and your budget is in jeopardy. 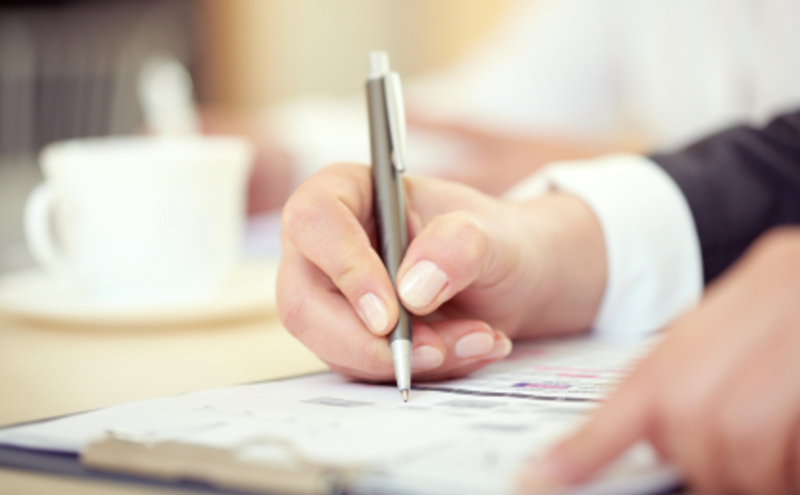 Here’s a free tool to help you measure your trade show results. 3. Trade Shows Stronger Than Some Expected: Trade shows are one of the winners in the marketing media wars. Along with electronic media, trade shows have retained a greater share of B2B marketing budgets than print and direct mail. That’s because trade shows still provide what all marketers want: face time with lots of real buyers in one place. So be sure to take full advantage of your face time at shows, because it’s harder to reach buyers elsewhere. 4. More Knowledgeable Buyers: Attendees now look up potential suppliers on the internet before the show, so they arrive already knowing about your products. If they visit you, it’s because they want to know if your product really does what you say it can, who your people are and how trustworthy your company is. You will need to provide more hospitality, have more space for longer meetings, and bring people who can answer detailed questions, but also deepen relationships. 5. Pre-Show Promotions Harder: Pre-show promotions with traditional media don’t bring in as many attendees as they used to. Your pre-show mailers get ignored, emails get deleted, calls get screened, and magazine ads are left unread. Buyers are just too busy before the show to pay much attention to your pre-show promotions. To get attendees into your booth, you have to do more at-show promotions, to grab their attention when they are focused on the show. 6. Social Media Rising: Social media is where people now spend their time. Fortunately, social media is not a replacement for trade shows, but is a great conduit to people who have tuned out of direct mail, email, ads, and phone calls. Social media can also help you extend the conversation that peaked at the show. Your activities in your booth (new products, product demonstrations, customer testimonials) are great content to share via social media after the show. 7. Which Promotions Work Now: Trade show attendees may walk the show floor, but it’s harder to get them out of the aisle and into your booth space. The internet has given them control of the buying process, so they don’t like to easily give it up at a show, either. So your promotions have to be better. To get them into your booth, you have to give them one of these three things: an exchange of value, an experience, or learning. Otherwise, they will keep walking. 8. Vertical Market Messages Love Flat Screens: In the old days, exhibitors would design their exhibit with a main message for the company overall, but swap out a portion of the exhibit graphics to customize their message for different industry trade shows. Now, with the price of large LED flat screen monitors about 25% of what they were when introduced (and lighter, too), exhibitors tailor their vertical market messages with pixels, not printed graphics. 9. Even Island Exhibits Are Lighter: While portable trade show displays have been the standard for decades, the high cost of shipping and especially drayage (up 488% from 1982 to 2010) have caused big-booth exhibitors to try to lighten their load, too. The improved style and flexibility of metal frame exhibit systems and the brilliant, sharp fabric graphics of today are taking over many trade shows. 10. Unqualified Leads Will Be Ignored: Your overworked sales force no longer has the time to work through a pile of business cards. Give them basically a list, and after several calls they will stop calling, if they start at all. You have to give them more qualifying information about each lead than just contact information, and you should only give them the qualified leads that are ready to talk to a sales person – or at least tell them which leads are the higher quality ones, so they can start there first. 11. Technology Everywhere: Technology has infiltrated trade show marketing. From iPads to enhance one-on-one interactive conversations and revolutionize lead management to flat screen integrated into exhibit designs to wireless internet hubs, and social media to entice booth visitors, technology is everywhere on the show floor. That means you have to know the difference between an HDMI and a VGA cable, a .csv and a .txt file, and a wireless or a hardwired internet connection. Because even in face-to-face marketing, technology boosts results. If your trade show marketing isn’t as effective as it used to be, see if you haven’t adapted your program to the new rules of the show hall. Take these new rules into account, and rejuvenate and enhance your program and your results. Not only have trade shows evolved, so has your job. 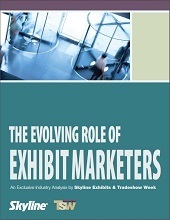 Read how your peers have adapted – and thrived – in the report, The Evolving Role of Exhibit Marketers. Just fill out the form to get your free copy.